Big Basin Provincial Park was established as a result of the Cariboo-Chilcotin Land-Use Plan Goal 2 (Special Feature) process. The important natural values of the park include wetlands, habitat for mule deer, California bighorn sheep and waterfowl, and a diversity of forest cover. The recreational values include a hiking trail and a horse trail leading from a break in the rim rock and meandering through to Churn Creek and opportunities for hiking fishing, hunting, wildlife viewing and horseback riding. 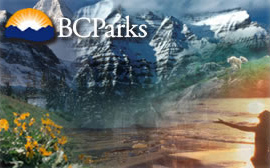 The park is located approximately 98 kilometres west of 100 Mile House.